Signalong at the Table is the first of a new series of topic books designed to help carers to deliver focused activities. It concentrates on aspects of food and food preparation that may be encountered in a daily learning situation, whether it is learning how to prepare a meal or going out to purchase the ingredients. We have attempted to cover as many aspects as possible and we would be grateful for our users' comments and suggestions. 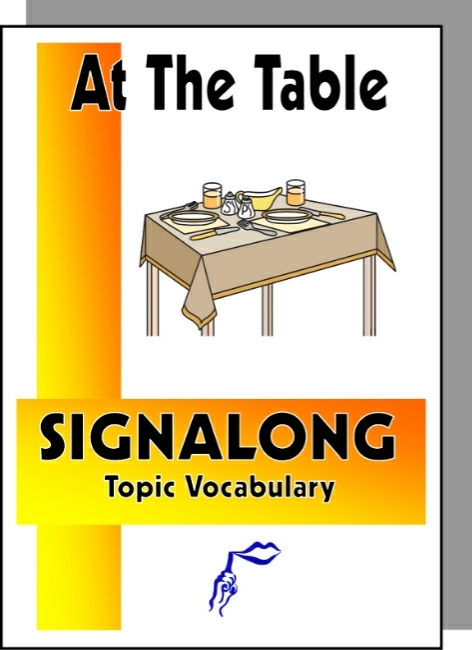 Some signs are dependent on vocabulary contained in the Basic Vocabulary series and are included in an appendix at the back of the book for the user's convenience.